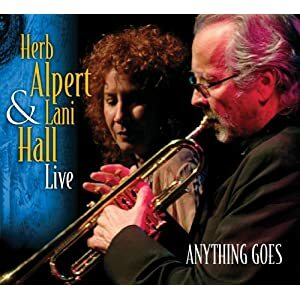 After several years of relative inactivity, Herb Alpert & Lani Hall joined forces and toured the country in 2008 playing small, intimate jazz clubs, and chose a group of popular songs from both the American and Brazilian song books. In 2009, the album ANYTHING GOES was compiled and released, with the Japanese version getting a bonus track. Lani’s vocals are contained in the songs listed in bold.